I got these bamboo cooking utensils at a local bargain store, and while they are perfectly fine as is, I like to add a little spice to my life. I decided to embellish them using one of my favorite craft supplies … nail polish! Yup, you read that right! I love crafting with nail polish. It’s a durable hard wearing paint and I already have it in every color! It’s easy to paint on detail with it (though I personally decided not to) and I always have old ones that I’d like to use up. Plus, it literally dries in minutes. 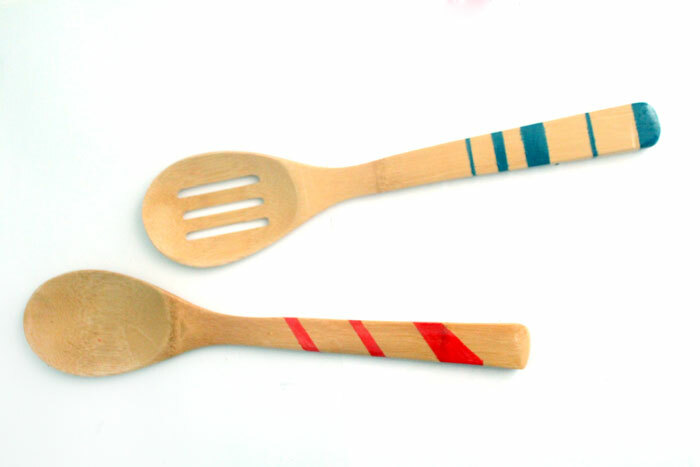 One question that came up a lot when I posted my enameled spoons tutorial: are they food safe? The truth is: of course not! You don’t want to eat nail polish. I do, however, have a few suggestions. First and foremost: don’t eat the nail polish part. 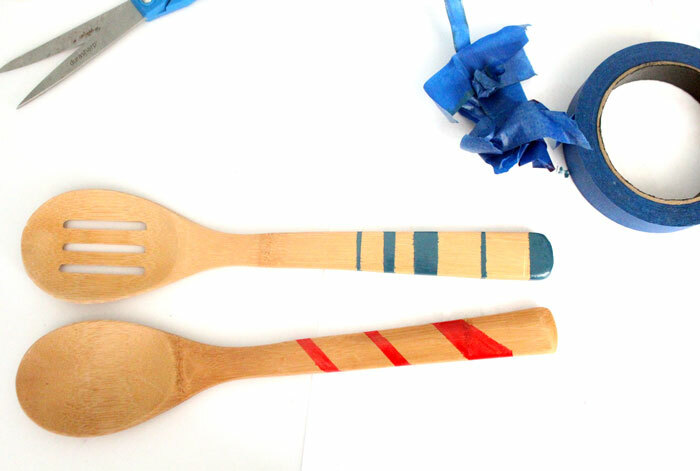 Depending on what you plan to use it for, only paint the area you won’t be eating from. So if you plan to serve salad with it, only paint the top. If you’ll be frying onions, you can paint a little lower. Another suggestions is to cover it with dishwasher safe Mod Podge. I don’t know if it’s exactly food safe – but it is non toxic. It does, however, take 28 days to cure. Nail polish in your favorite shades. I used this one from Sinful Colors and a bright red from my free Julep Maven box (the color is called “Myriam” . 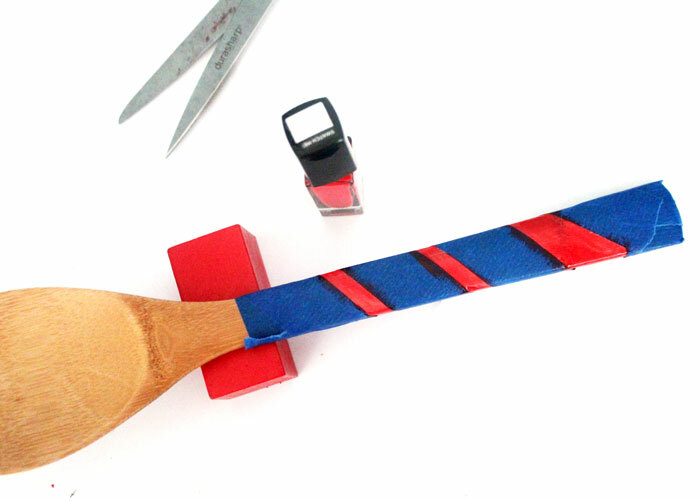 Make stripes using the painter’s tape. Cut it in half if you want. Keep in mind that the peeping areas will be painted, not the tape areas 😉 I wanted to paint smaller surfaces. 2. 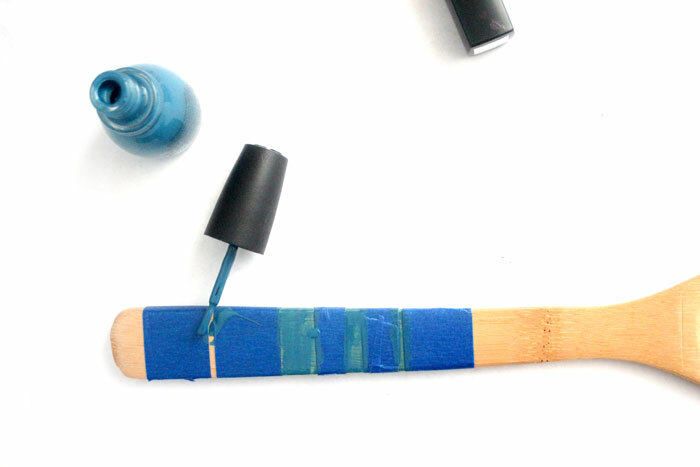 Paint a layer of nail polish. Tip: the more you allow it to pool, the more it will seep through the tape. So, keep it thin, and rather do an extra layer. 3. 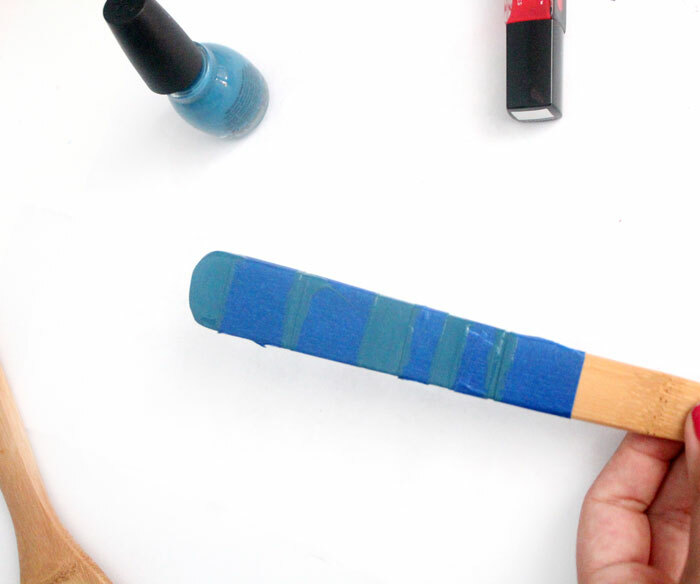 Paint an extra layer if you’d like a solid finish. 4. If you’ve painted the back too (as I did) you an rest it on a block to dry. 5. 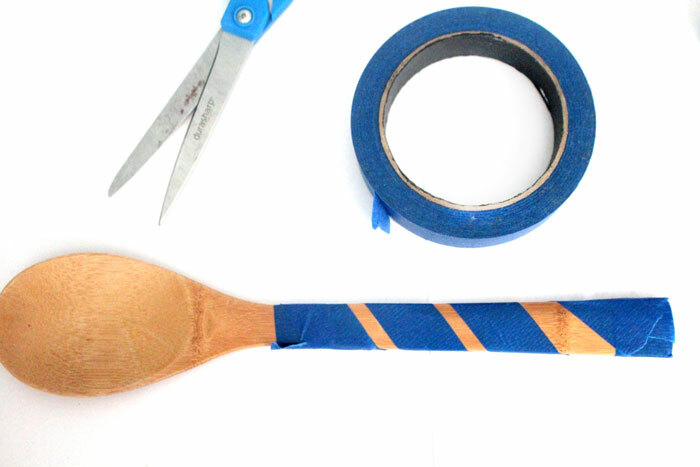 For the other spoon, I blocked off the ends, and then placed a spiral of tape that narrows. 6. The red is a really rich color, so I left it as-is. One coat provided a strong line, but it also showed a bit of the wood grain through. I like that effect too. 7. 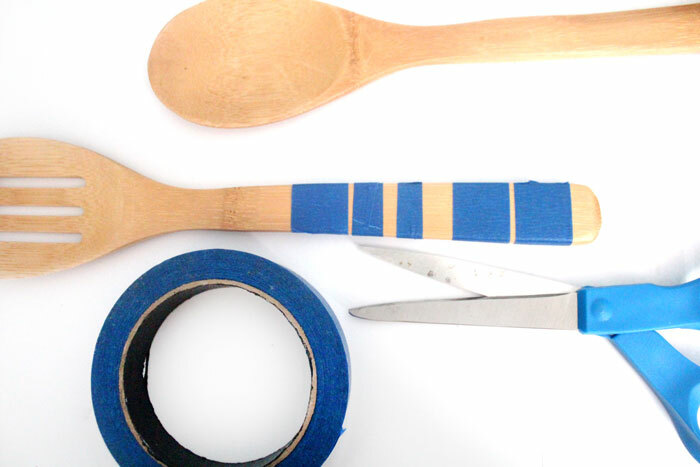 When your spoons are completely dry, peel off the tape. 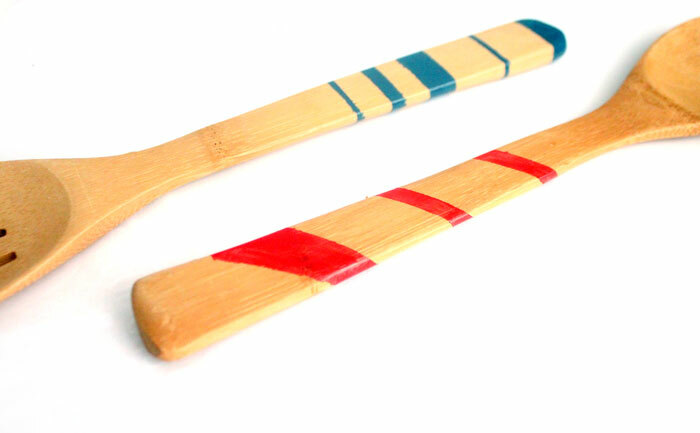 Don’t worry if your line isn’t perfectly sharp – that’s because wood is porous and absorbs some of the polish. I like the handmade look. 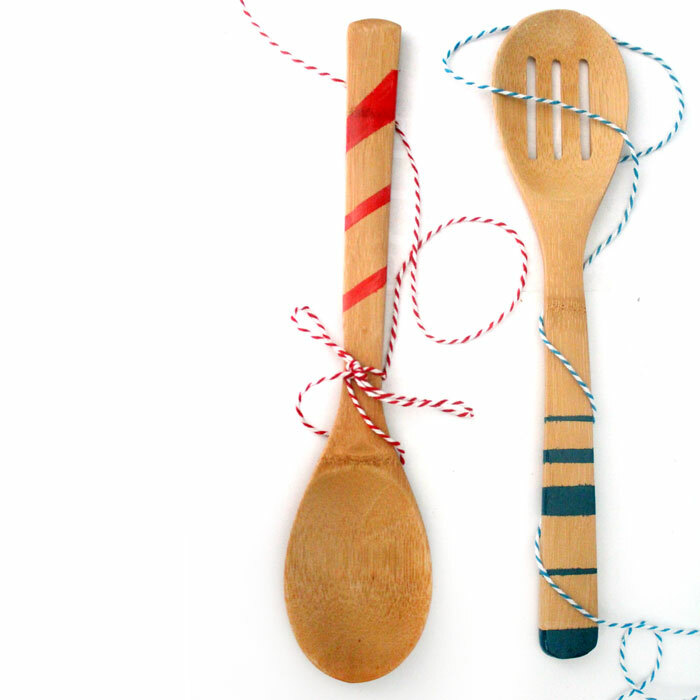 Your crafts don’t need to look perfect. 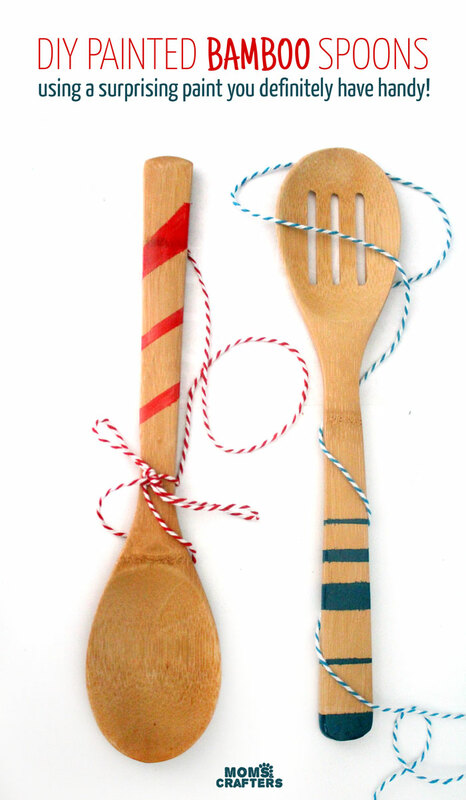 Aren’t these DIY painted wooden spoons pretty? 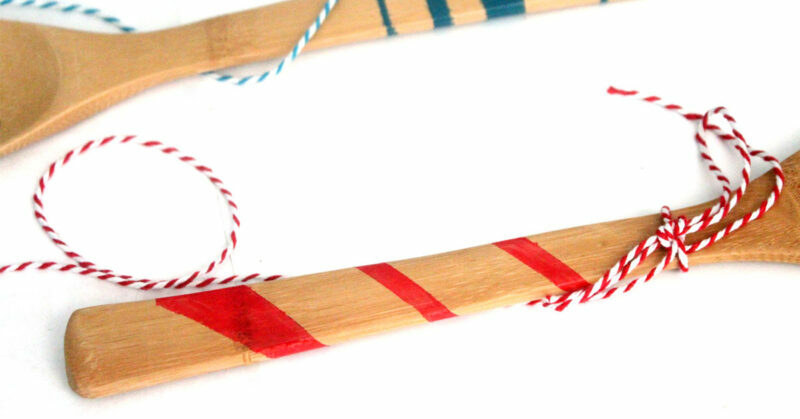 Who will you be making yours for? Do you have any other pattern ideas? 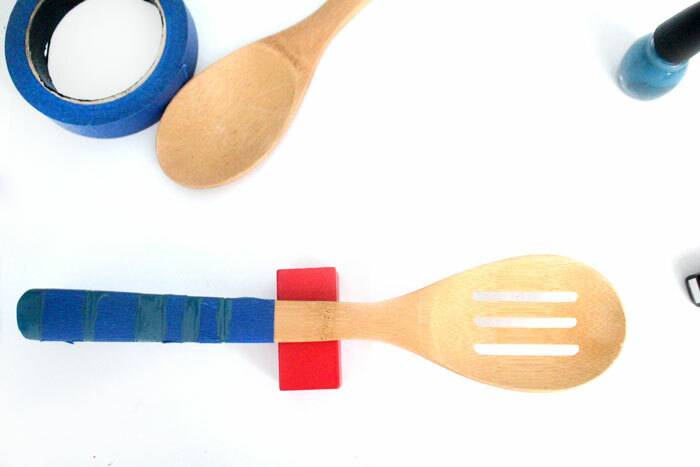 Crafts for moms, Crafts for Teens, Quick and easy crafts. Bookmark.